Cosmic Egg is one of the recent CD labels of Audion magazine’s Alan and Steve Freeman, acting sort of as a offshoot to their Auricle cassette line that they have run since the 80s. 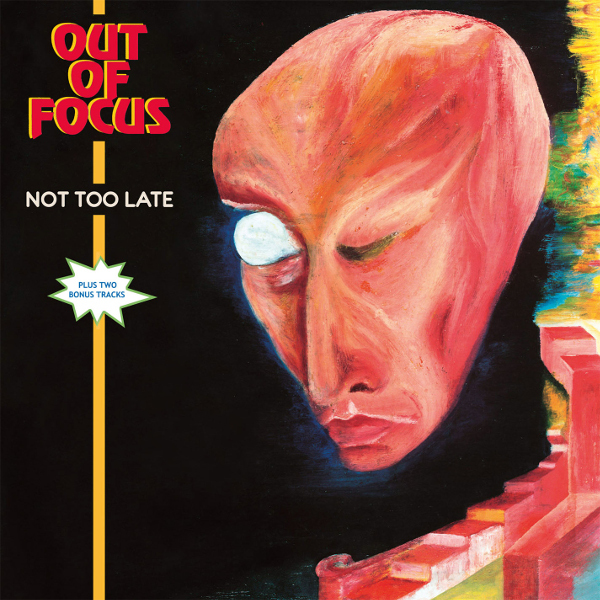 The release at hand starts off a series of Krautrock artifacts with a bang, featuring the lost fourth album by one of the best early 70s German groups, Out of Focus. This set of five songs follows on the heels of their masterpiece Four Letter Monday Afternoon, and continues their jazzy, progressive rock style in as fine form as they ever have been in. The instrumentation: drums, bass, two guitars, sax, and a vocalist / sax / flute player. Their strengths lie both in the long instrumental sections and in the adventurous structures of the songs, which contain plenty of time changes and composed, thematic parts. Perhaps the only slightly duff moment on the album is the short “The Way I Know Her,” a 3 ½ minute acoustic guitar ballad that seems a bit dull for a band who practically doesn’t know what the word means. But it’s an insignificant point on a map of some of the finest German rock of the 70s. With good quality sound (for an archive anyway) and lengthy liner notes by guitarist Remigius Dreschler, this comes recommended to all fans of the German rock scene, especially those who like it on the jazzy side.